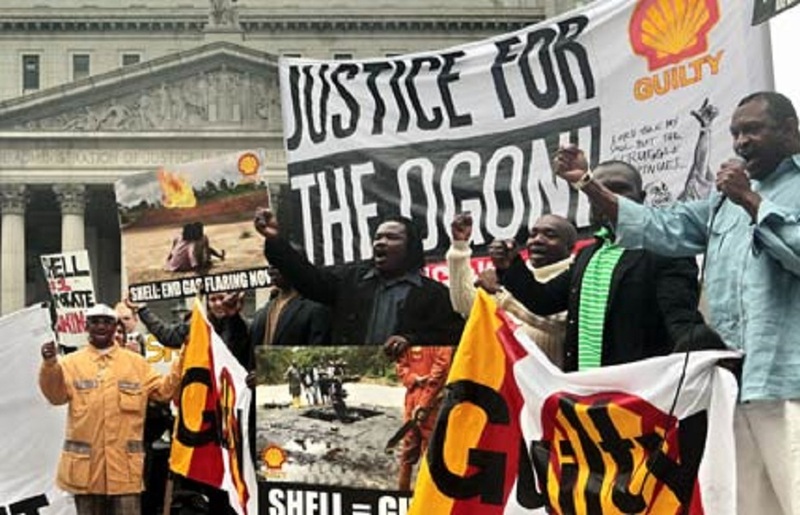 The Movement for the Survival of the Ogoni People (MOSOP) considers the actions of the Nigerian government and Shell towards Ogoni as very irresponsible, especially in respect of the recent oil war perpetrated by some Nigerian oil firms on Ogoni. We bemoan government silence as state instruments are being continuously used in the suppression of our people disregarding their precarious conditions and severe trauma associated with living in polluted Ogoniland. We are shocked that even in a supposedly democratic setting, our own government can turn a blind eye at legitimate demands for fairness thereby encouraging a repressive attempt to resume oil production in Ogoni without genuine commitment to address the needs of the Ogoni people. MOSOP warns that attempting to resume oil production without the consent of the entire Ogoni people is clearly a plan of government and the oil industry to kill and repress the Ogoni people as there will surely a strong resistance against these moves. While the recent plan to build cemeteries in Ogoniland clearly indicates an anticipation of the massive death outcome of the forthcoming crackdown, we regret that Nigeria is further deteriorating into a country without conscience and urge all men of conscience not to allow the impending genocide. After over 30 years oil exploration and significant contribution to the Nigerian economy, Ogoni is left in terrible conditions, with a severely polluted environment, a completely destroyed community life with no water, electricity, basic schools, roads, health care facilities and a disoriented system without any reasonable support from government. We are deeply concerned that as a people, we have written to the Nigerian authorities in a document titled “The Ogoni Bill of Rights” which was presented to the Nigerian government in 1990, in which we clearly expressed our fears and made demands on the federation including the demand for political rights to self determination. Regrettably, government response had been to unleash violence on our people which led to the death of over 4,000 persons between 1993 till date. We note that Nigeria’s silence over recent attacks of the Ogoni by Nigerian oil firms with the aid of the Nigerian soldiers are most regrettable, condemnable and we see these to be gross irresponsibility and insensibility on the part of government towards the plight and safety of the Ogoni people.